All of these pups were surrendered to the shelter after they were discovered in a hoarding situation. They were all living in a travel trailer on their "owners" property. 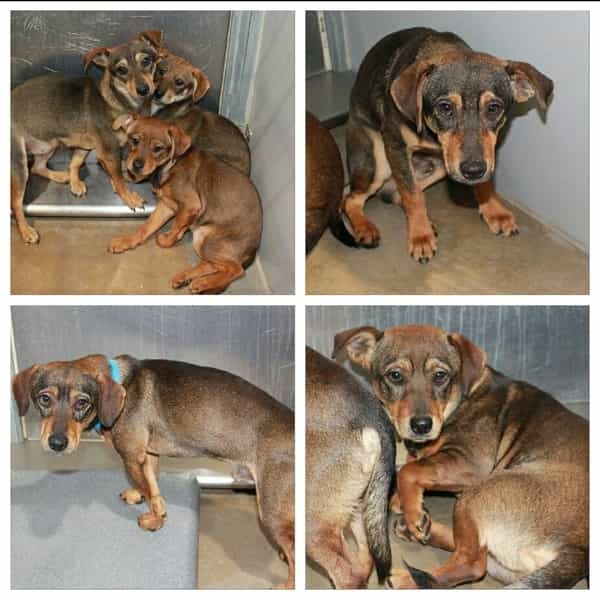 All are described by shelter staff as a "very skittish." They all need immediate rescue! Being owner surrenders they could die at any time. If you would like to foster, local rescues are willing to help facilitate this for an approved applicant. Just fill out an application and someone will be in touch. If you are an out of state rescue who needs local rescue assistance, please send a message to our page. Ali, Ariah, and Avery - 3 month old 5 pound Terriers. PLEASE share for pledges to help cover medical care/spay/neuter and help increase her chances of being rescued! Rescues need donations and local foster homes in order to save lives! The shelter is overcrowded and every dog should be considered urgent at all times! 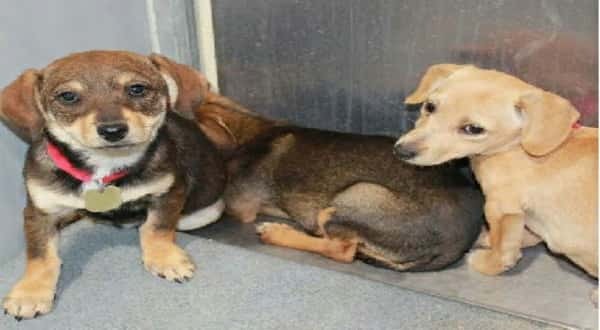 1 Response to "Bonded puppies trio watches their family as they leave them behind at shelter"